In the bottom navigation, tap the More button. In the More menu, tap the option for Share booking page. 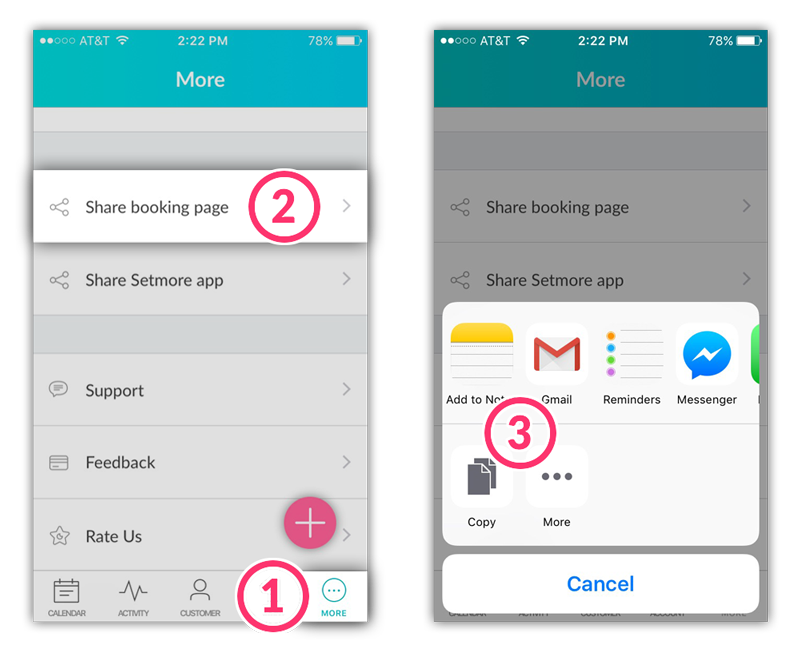 Select which app you would like to share your Booking Page to, or tap Copy to place the Booking Page URL on your clipboard so you can paste it manually. You may customize your online Booking Page by adding your own logo and contact information, but this can only be done only from the desktop app or the browser-based version of Setmore, and not the mobile app. Learn more about customizing your Booking Page here.